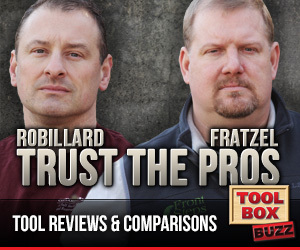 As a professional carpenter and general contractor, I have always done my due diligence when making tool purchases. 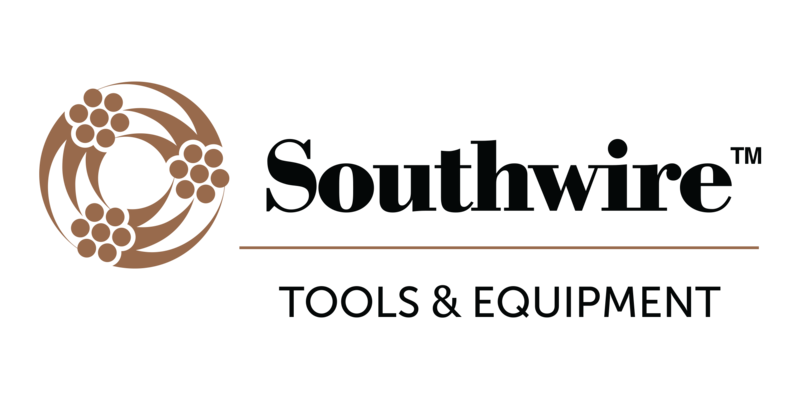 I look to find tools that offer the highest versatility and value while also being able to hold up to the harsh, job site environment. 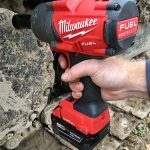 When Milwaukee introduced their new FUEL High Torque Impact Wrench with ONE-KEY™, I was originally intrigued with the idea of cord-free vehicle and equipment maintenance. After several months of on-site use, I am continually blown away with how often I use this tool for many different applications. 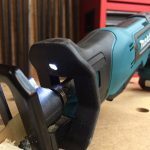 While the IoT (internet of Things) is taking over the tool world, real life application has been somewhat suspect. This tool changes that. The ONE-KEY™ technology significantly increases the versatility of this tool. 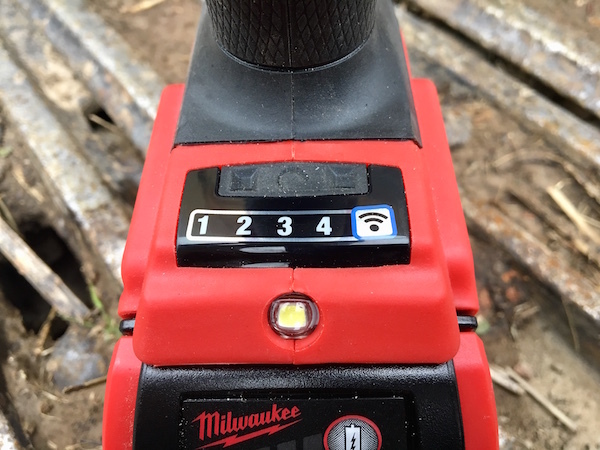 An LED light is located below the programmable drive controls. 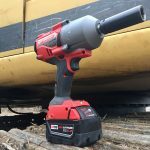 While this is not ground breaking, it has become somewhat of a must-have for all cordless tools. The light is located fairly low on the tool which lit the work area well. I would prefer the light to be located higher up to avoid the occasional shadow, especially in tight locations. There were times when using my other hand to get on a fastener, my arm would block the light which was a bit of a hassle. This was pretty rare but something that I believe Milwaukee could improve. 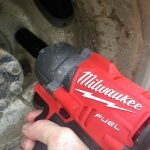 What separates the Milwaukee high torque impact wrench from their competitors is the repeatability of the torque values. 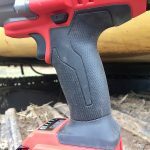 Where non-pneumatic tools have previously failed is in the ability to consistently deliver torque values. 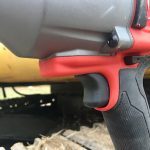 This has led many mechanic shops to actually ban their employees from using battery powered impact wrenches for liability concerns. 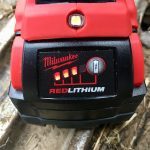 Milwaukee has aimed to solve this problem by using an advanced sensor that can account for every impact and adjust torque output accordingly. 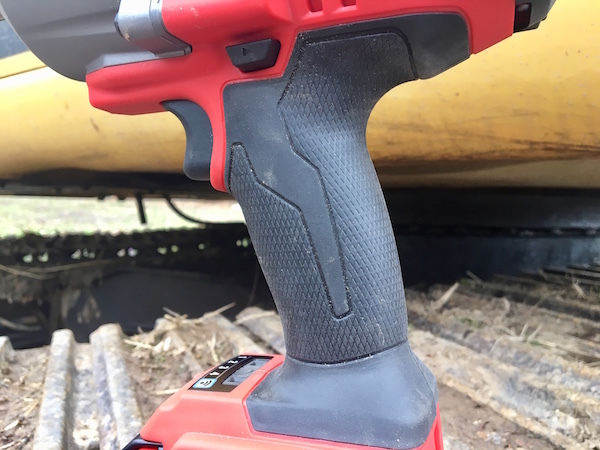 This sensor, located above the trigger, allows the Milwaukee high torque impact to achieve repeatable torque values that are on par with pneumatics. So what does this all mean to the user? This means that nuts will not be severely over or under-torqued. This does not mean that a torque wrench shouldn’t be used to achieve final torque settings. 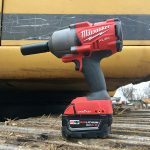 The Milwaukee high torque impact comes with a simple, programmable drive control that allows you to quickly change the torque and speed output according to the task being performed. Located below the handle, there are 4 modes, all of which are customizable (I will touch on this later). 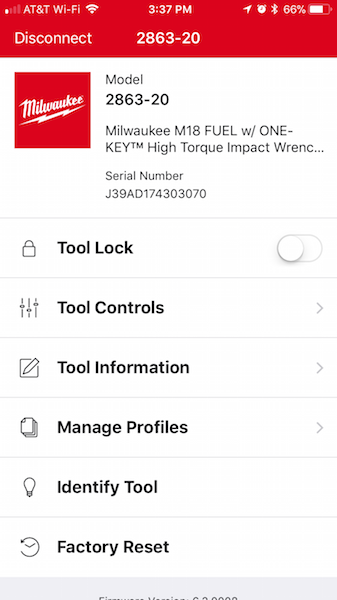 There is also a Bluetooth button to connect the tool to the free ONE-KEY™ mobile app. 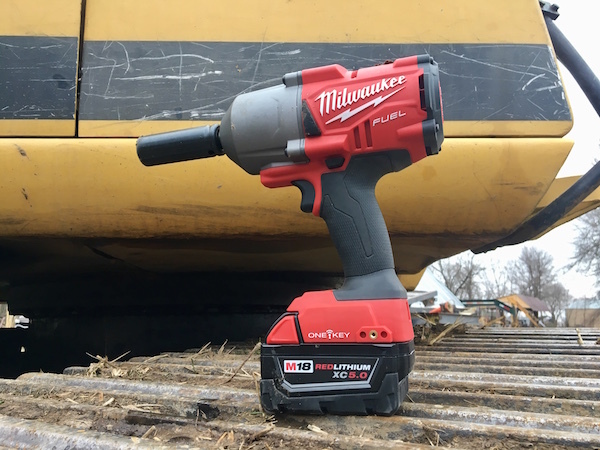 What truly makes the newest iteration of the Milwaukee high torque impact special is the inclusion of their ONE-KEY™ technology. 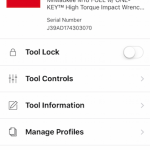 While the IoT (internet of Things) is taking over the tool world, real life application has been somewhat suspect. This tool changes that. The ONE-KEY™ technology significantly increases the versatility of this tool. 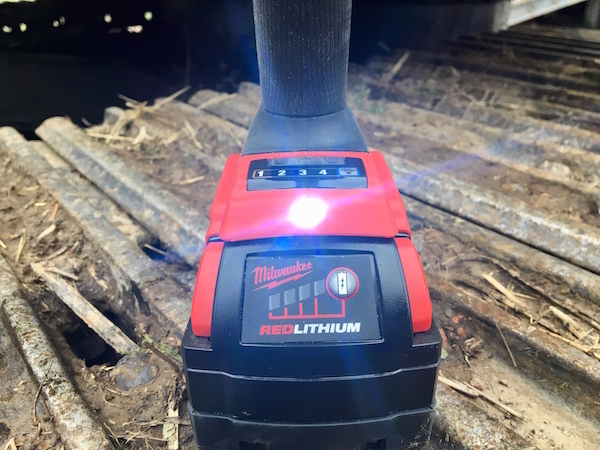 When connected to the ONE-KEY™ app, the user can change the drive settings to their desired torque, speed and even how long the LED light stays illuminated. This offers lots of control of the tool that can be customized to your particular workflow. 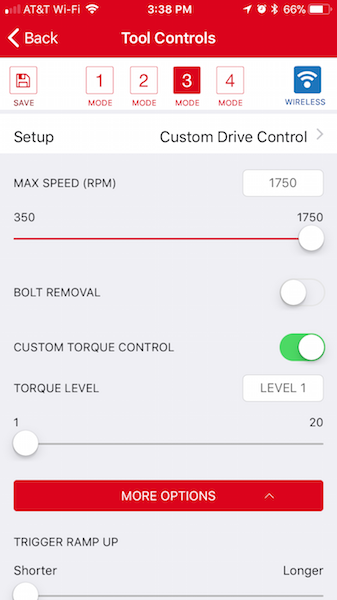 Accessed through the Tool Controls setting within the ONE-KEY™ app, the Custom Drive Control menu offers the user the option to change the max RPM’s, removal speed and torque depending on use. 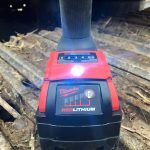 There are several options including bolt removal, (which initially gives maximum impact to loosen a fastener and then slows down to 750 rpm to avoid stripping), trigger ramp-up time, LED work light duration and even the brightness control of said LED light. 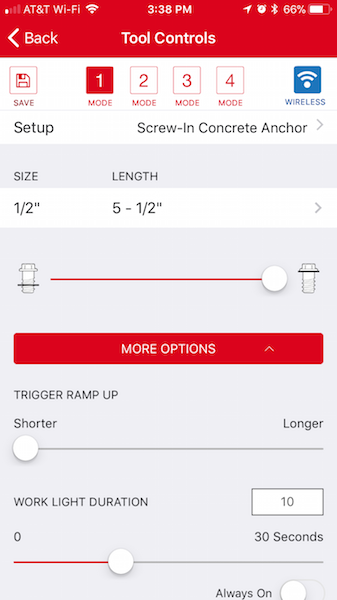 In the Screw-In Concrete Anchor mode, you have another set of options that will automatically prevent over and under-tightening fasteners. This helps to prevent stripping out concrete fasteners which can be costly and time consuming. There are inputs for fastener length and diameter and again the ramp-up and light controls. 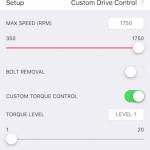 Lastly for preset options, there is the Lug Nut Control mode. 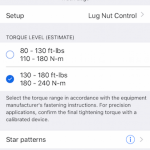 In this mode you will find options for low (80-139 ft/lbs) and high (130-180 ft/lbs) torque. 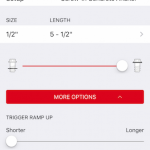 There is also a handy set of star pattern diagrams for those not familiar with the proper way to install tires as well as the aforementioned trigger ramp-up and LED light. While I cannot speak directly for Milwaukee, I personally believe the security that ONE-KEY™ offers was the driving force behind this technology. ONE-KEY™ allows the user to disable the tool if it ever ends up missing, effectively turning it into a paper weight. 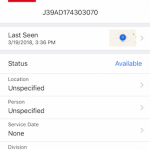 This app also “checks-in” whenever the user gets within 100’ of the tool. This is particularly useful on larger jobs where there are many tools out and easy to overlook. 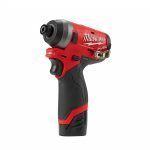 The Milwaukee FUEL High Torque Impact Wrench with ONE-KEY™ is a full-size cordless tool with serious power. Although on the beefier side, the tool is well balanced and the rubber overmold adds to the overall comfort of using the tool. Belt hook holes located on both sides of the tool are included although I personally found no need to hook this tool on my belt or pocket. A nice addition, however, as some users (particularly steel workers of those working from heights) might find this helpful. 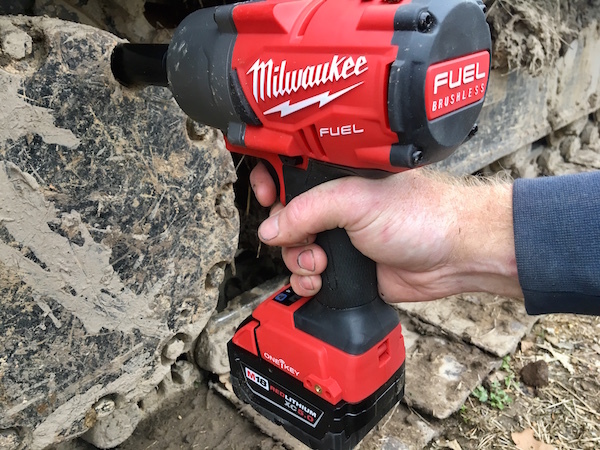 Make no bones about it, the Milwaukee FUEL High Torque Impact Wrench with ONE-KEY™ is an absolute beast! 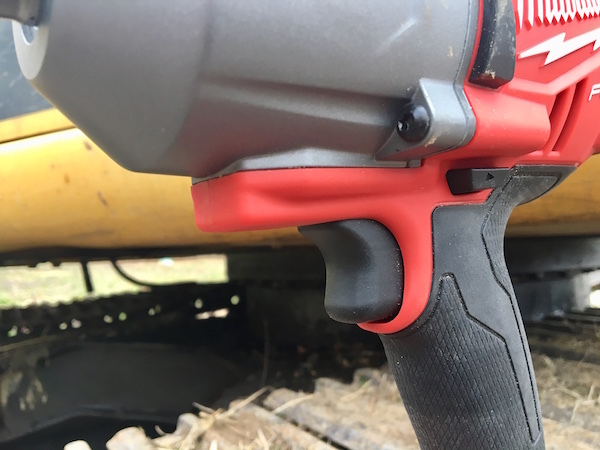 This impact wrench offers up to 1400 ft-lbs of nut-busting torque and 1000 ft-lbs of fastening torque. To top it off, all of this power is harnessed within a compact body. 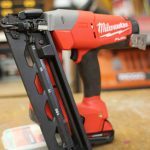 This is all powered by Milwaukee’s POWERSTATE™ brushless motor. My company tends to get involved with a number of different trades. We do quite a bit of excavation, remodels and new home construction. With this, we never know exactly what we’ll be doing from day-to-day. 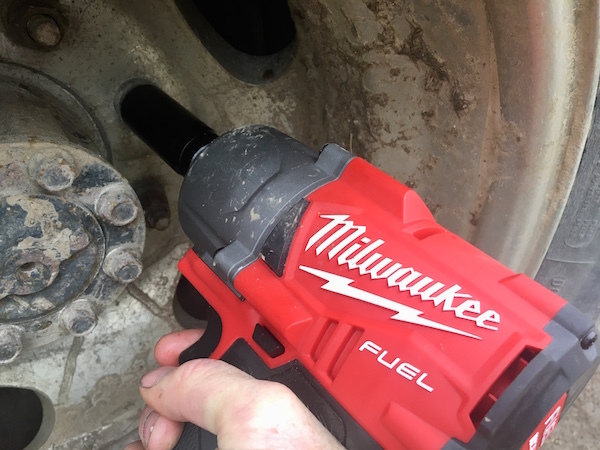 The high torque impact wrench fits us perfectly. 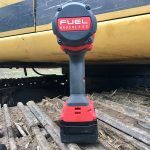 I’ve used this on equipment repair, adding anchor bolts into sills on new construction and even changing a tire on my wife’s vehicle. 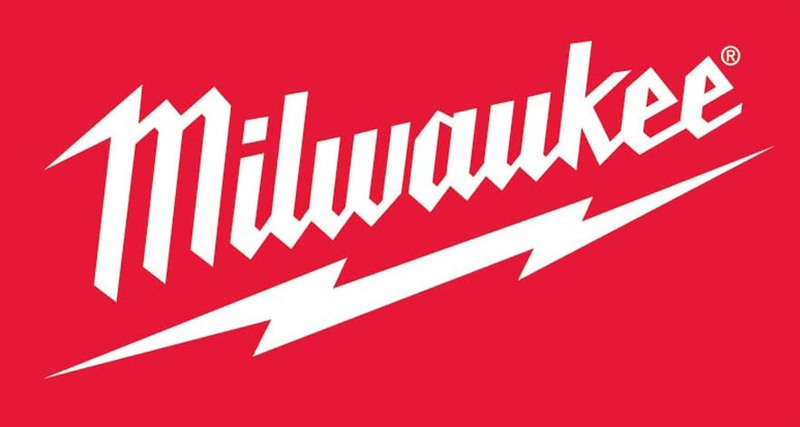 I still can’t believe Milwaukee accomplished what they have within their 18v lineup. The power is UNREAL! The most surprising thing I found, was just how often I went to grab this tool. I used it to drive lag screws and TimberLoks or Strong-Ties (with an adapter). It just didn’t seem worthwhile to “overwork” my normal impact driver when putting in 6” screws production style. 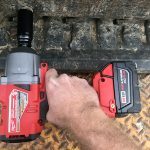 Being able to “dial back” the torque allowed me to marry the convenience of mid-torque wrenches with the power of high-torque. 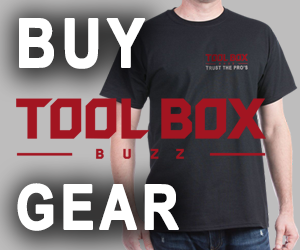 While this tool offers MANY fantastic features, it isn’t quite perfect. As mentioned before, I think Milwaukee could improve upon the light location. While this was mostly a non-issue, I think it could be refined. 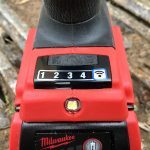 I would also like to see Milwaukee offer specific torque values, or a range, instead of on a 1-10 scale. 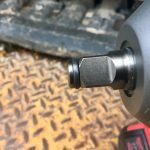 While it’s easy enough to test if you have a torque wrench, adjusting on the fly was a little bit of a gamble until I got to know the tool a little better. 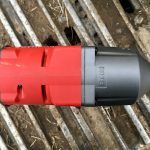 While this tool is a no-brainer for iron workers and mechanics, I believe it is worth the investment for other trades as well. 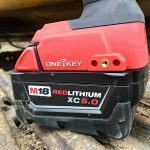 The ONE-KEY™ app offers the most versatility in the market, all without being tethered by a cord or hose. 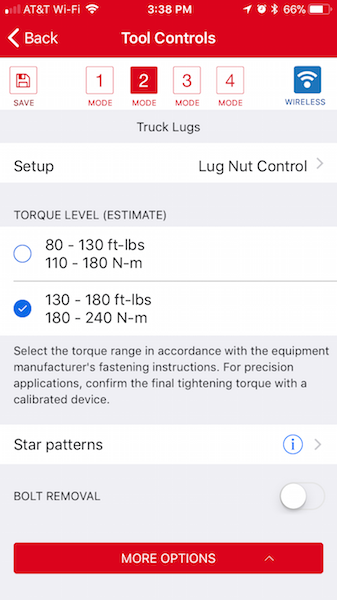 Although I wish they would be a little more specific about the torque values within the app, the upside to this tool is far greater. 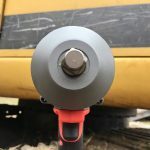 So for all of you that are doing your due diligence for a tool purchase, I wholeheartedly recommend this tool for anyone that deals regularly with large diameter nuts or anchors. For around $500 for the kit, there’s also a lot of bang for your buck.